Dr. Jenai Wu Steinkeller (“Dr. Wu”) received her Ph.D. in Clinical Psychology at Northwestern University School of Medicine, where she also completed 4 years of pre-doctoral clinical training at inpatient and outpatient services of the Institute of Psychiatry, Northwestern Memorial Hospital, Chicago. She also attended the University of Chicago where she studied Cultural Anthropology, and graduated with honors in Behavioral Sciences. She completed post-doctoral training and fellowships at Harvard Medical School training hospitals including Massachusetts General Hospital, Beth-Israel Deaconess Medical Center, and Cambridge Hospital and Cambridge Guidance Center, specializing in psychodynamic psychotherapy, group dynamics and therapy, child and family therapy and neuropsychological assessment. Dr. Wu completed her psychoanalytic training at the Boston Psychoanalytic Society and Institute (BPSI), accredited by the American Psychoanalytic Association; is an active member of BPSI, and is a certified psychoanalyst. For 25 years she was on staff and faculty at the Massachusetts General Hospital, and on Harvard Medical School’s faculty as Assistant Clinical Professor of Psychology, and Lecturer in Psychiatry at Tufts University School of Medicine, where she taught and supervised psychiatric residents. In addition to 20+ years of personal experience with meditation and mindfulness, Dr. Wu was invited to join (and completed) a 3-year training program at Spirit Rock, one of the two oldest insight meditation centers in the West, which program’s mission is to replenish the pipeline for and groom meditation teachers in the insight (Vipassana) tradition. In addition to her clinical psychology, psychotherapy, and psychoanalysis practice, Dr. Wu works as an executive coach and organizational consultant. Her research interests are in the nexus of depth psychology, culture and mindfulness — the role of personal psychology and cultural programming in real-life functioning (including in groups) — and the role of mindfulness in change. 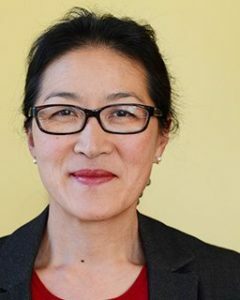 Dr. Wu uses a combination of methods and techniques in her Boston, MA psychotherapy practice. Learn more about what methods are used and how they work. Learn more about the types of referral problems that Dr. Wu treats and inform yourself about some of their common symptoms and underlying causes. What’s the difference between a psychologist, psychiatrist, psychopharmacologist, and a psychoanalyst? How do you incorporate mindfulness into psychotherapy? What is the difference between psychodynamic psychotherapy and psychoanalysis? Downtown Boston, Downtown Crossing, Government Center, Financial District, South Station, Waterfront, Beacon Hill, West End, Chinatown, North End, Back Bay, Cambridge, Brookline, Boston Metro West & Greater Boston Area. Easily accessible via I-90, I-93, Storrow Drive.